Here are some of the best ways, advice, websites to use images in your teaching. Most have a link taking you to a resource or further reading. 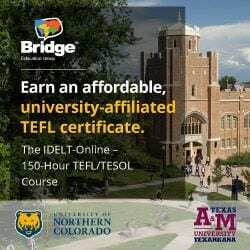 Some might need EFL Classroom 2.0 membership. Browse at your leisure. 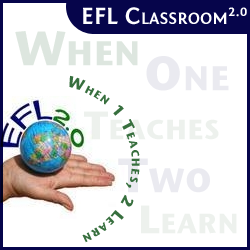 EFL Classroom 2.0 members get all the 50 lists! 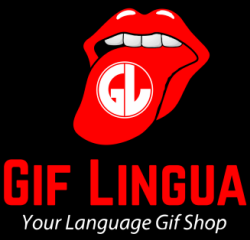 In regards to images – make sure to check out Gif Lingua. A new site that really focuses on using these high powered images as learning objects. 3. Get Inspired! Images that are drawn are the best, IMHO. Inspire your students to use their own drawings to help their own language learning. This online slideshow will inspire them to no end. Use it to get them guessing like pictionary! View It. 4. Random Image Generator. Use the Frig Tool to instantly pull up a random image from the web. Creates suspense, unpredicatability and keeps students on their toes. Ask questions about each photo. Ask students to answer the 5Ws about the photo, use your imagination! More here. 5. Text To Image. Teachers and students can easily transform text into attractive images. There are many online generators which can instantly give you an image for your text: Wordle and Tagxedo to name two. . Makes a wonderful material to present vocabulary in class. Even play a game such as What The Wordle. This presentation shows many ways to use Wordles in class. View it. 7. Advanced Editing. Not many teachers can afford to buy Adobe Photoshop or other advanced image editing programs. However, there is an alternative – Pixlr. Online and with great apps. Check It Out. 8. Students make a doodle video. It’s easy to do and read about it here. Students each make a picture for one line of a song. Put them together and then make a movie. Inspiring for all students and great for team building. View A Popular Example. 9. Collage It. There are few ways to make a collage and attractively set many images into one for teaching and presentation. Fotovisi is the place to go to for this. Easily upload photos and attractively set into a collage. Learn more. 10. Teach Current Events. Photos are the most powerful thing imaginable when it comes to talking about the news. Reuters and AP both have great royalty free image sets or photostreams teachers can use to make lessons about world news/events. See my own Best Photos Of All Time as a teacher created example. View It …. 11. Design and Sign It. Students can design all sorts of “signs” and then share with the class. Red Kid is a fav. but also The Warning Sign generator, Fan Sign generator and others …. 12. Go Gif. .Gif photos are an amazing visual resource. Animated photos that show a moment of action, they can be used to prompt language with questions of “what is happening?” or “What just happened?” or “What did they do?”. 13. Use A Visual Dictionary. If students are going to use a dictionary, have them use one with images. Oxford has a very realistic one that I’ve used with students over the years. Try an online app or version if possible. Use It. 14. Make A Powerpoint Photo Album. Powerpoint is still a mainstay for most teachers. And it is easy to take all your photos on a topic and quickly make an attractive powerpoint photo album slideshow for use in class. Learn How …. 16. Vocabulary building . Give students an image and have them pull out all the vocabulary in the image. Simple but effective. Take up and give students points for each vocabulary item. Here’s my own game I made using the now defunct PicLits site. 17. Self Study. If you use images in class, make sure students can access them for review and self study. It’s easy to do with Quizlet and other flashcard applications. Upload the photos, add some text and share the link with students. Or use already completed sets or download sets, print and play flashcard games. ! Learn More. 18. Charades / Guessing. Give students in groups, a pile of images of people, places, things. One student picks up a photo/card and describes it using the language: It’s a person who / place where / thing which …. First to answer gets the photo. Most photos at the end wins. 19. Story Dominoes. A simple yet fun, effective technique. Get some images together and choose 5 or 6 randomly. Students must use one image and start a story. The next student then continues until the images/story is done. View It. 20. Describe and Draw. Prepare 2 simple imagess which students can describe. A core 2 way information gap task for students. 22. Get Digitally Creative. Fodey allows students to do some writing, get creative and make an image to share with the class. Create a newspaper article that looks real! Ninja’s that spell things out etc….. But the BIG player online is Big Blue Labs. So much your students can do to use images along with text, so much! 24. Pecha Kucha. This game works like a charm. Choose a popular song, select some vocabulary that repeats often. Students choose one word and write it large on a piece of paper. Listen and students stand and sit when their word is sung. Lastonestanding wins! View it. 25. Optical Illusions. These are amazing images that will get students thinking out an answer as to why they do what they do. Great visuals to prompt student language and thinking skills in class. View It. 26. Get Personal. The perfect 2nd day of class activity. Get students to bring in some photos and then in small groups, answer questions based on the photos they brought in. After, ask the group members to recall one thing about their “group mate”. Model by sharing a slideshow of you – the teacher and having students ask you questions. 27. Graph Attack. Graphs are strong visuals for prompting student language and also critical thinking / presentation skills. Give students a simple graph and have them prepare a presentation for the class. Make sure to model it clearly for your students. View It. 28. Get Creative. Assign students parts of the song and have them present their own interpretation with text. Put it all together as a play or performance. So many great “text”songs out there. View It. 29. Just Sit Back ‘N Enjoy. There are so many wonderful already prepared visual presentations out there. Put one on and use it to prompt student language. Pause, ask questions, draw out vocabulary, get students to predict and imagine. Check out all the ones I’ve already made for teachers under “Presentations” – View It. 31. Record It. Taking photos isn’t just something to do during a special occasion. Better if you record your class activities and then replay as a presentation in class as a review. Students can retell what they did. Don’t think a polaroid is old either – it is a powerful tool and young learners love the “instant” of it. It’s a good investment. Inspire students by showing how this guy took a photo of himself every hour for a year! View it. 32. Personal Picture Dictionaries. Students should have a notebook recording all their challenging vocabulary which they need review. Instead of words and translated definitions – get students drawing pictures for each word, even abstract words. They will love it and remember the words so much better! . View It. 33. Torn Pictures. Such a simple idea/task. Tear up some images you’ve printed (or use magazine images – or use the online jigsaw maker). Students walk around class finding the match(es). Remember they can’t show their photo, only describe it! View It. 34. Speak It! Go to Blabberize and find a photo of a person or animal. Students record themself speaking like this person or animal. Fotobabble does a similar thing. Find out more. 35. Posters. Glogster lets students and teachers make “mish – mashes”, great presentations using all kinds of images and media. Students can make a poster to present any topic and then share it with class. 36. Changing and inspiring the world. Music makes a powerful statement. Students, especially teenagers, want to make a difference and sharing a song will get them started. Plus, they’ll learn a heck of a lot of English. View It. 37. Digital Storytelling. Use images to make digital stories. Go to Storybird and read some stories created by students. Then, make your own Storybird. View Student Made Examples …. Here’s my fav. digital story. 38. Storyboards. Film makers plan out their movie with a storyboard, students can use one too, to write their own stories with pictures. So easy and a strong writing activity for students. Read more …. 39. Guess Who / Guess What? Provide students with images of famous people or things. Others must ask questions and guess who or what. Check out the powerpoint versions of this game where you can show hints and reveal the image piece by piece. Or also try guessing the musical celebrity with Music Wall. – Go There. 40. Draw It. Play a song and as students listen to it, have them draw what they feel, see, think, understand. Afterwards present and share and ask for the reasons they drew what they did. Or show some images and ask students to choose one which expresses best how they feel. Ask them why. Get examples. 41. Pictionary. A classic game that’s easy to play. Give students an image and they must draw it for their group within a set time limit. Or make your own variation. Don’t forget to try the amazing online pictionary style game – Draw My Thing. 42. Bingo. Fold an A4 piece of paper twice “hotdog” and “hamburger” style. In each box students draw in vocabulary that the teacher has chosen. Then play bingo! 44. Let Students Take Photos. Unleash your student creativity by allowing them to use their phones or cameras to take photos. Then have them present to the class in powerpoint or have them use The Tarheel Reader and make their own story from the photos. 45. Challenge perceptions. Images powerfully challenge preconceived values and notions. Challenge students with the Photo Maker I made. The computer will make an image of the students based on their description. Be prepared for a surprise! View It. 46. Picture Sets – these are collections of pictures that describe everyday routines or actions. Washing the dishes, going to school, ordering at a restaurant etc… Used primarily in special education classes – they are also very effective in ELT. Get students using them like storyboards and describing the actions. View them. 47. Give gifts. Do this on holidays or special occassions or just for a feel good lesson. Cut up images from flyers, catalogs and give to students in groups who must decide who to give these to in the class. Then, students walk around giving their gifts and telling the classmate getting the student why they bought it for them. Discuss choices/lists after and what everyone got! View It. 48. Picture Dice. It’s easy for students to make picture dice. Draw or glue pictures to the face of the dice and then play! Make sentences, spell, connect vocab or other tasks for the person who rolls. …. View It. 49. Cut n Paste. Use image capture technology to good effect. It is a great tool. Teachers can capture images of a video and then present the images for retelling. Most operating systems come included with a screen capture tool. I prefer to use SnagIt but also Jing has a free one. View It. 50. Bookmaking. You can make all sorts of books with a few pieces of paper and some images (either draw them or paste them in). I find students love the smaller books and collect them, make a class library. They love producing these English books! Find out how …. Enjoy this? Please help support the community by visiting and purchasing resources at our Digital Resources site. Thanks!